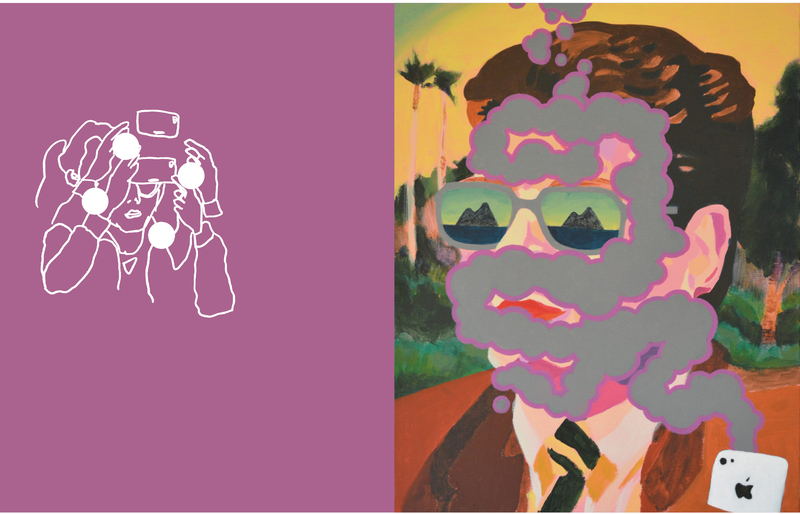 WISH LESS gallery is thrilled to present Martijn Kluit’s solo exhibition “That’s… That’s…!”. Martijn is originally from Holland and is currently based in Tokyo. It’s been two years since Martijn’s last solo show at WISH LESS and it’s wonderful to have him back with new work. His latest pieces describe the way modern people view reality through computer screens and warns about losing themselves into smartphones. If you feel disturbed looking at his art pieces, please step back and look again.You might find yourself reflected in them. Something ominous this way comes. Unsure if it is wicked touchscreen-reality or made of flesh and out for blood, we simultaneously behold with childlike wonder and childish fear. From real-time purgatory we pose and post without moving, heads in the sand with the tide rising. The future is uncertainty but most certainly features sharks. Martijn Kluit studied art in The Netherlands (Royal Academy of Art) and Istanbul (Mimar Universitesi). Kluit has been living and working as an artist in Japan since 2010. The production of his works are a method of associative research into alternate histories, both ancient and recent, in which the posit that there is no absolute truth is taken to heart and used to imagine possible continuations of unfinished tales. Visually, Kluit is searching for a balance between accessibility and layeredness; colourful and often humorous images half obscure more dubious notions of nationalism, globalism, materialism, religiosity and fanaticism of various kinds. 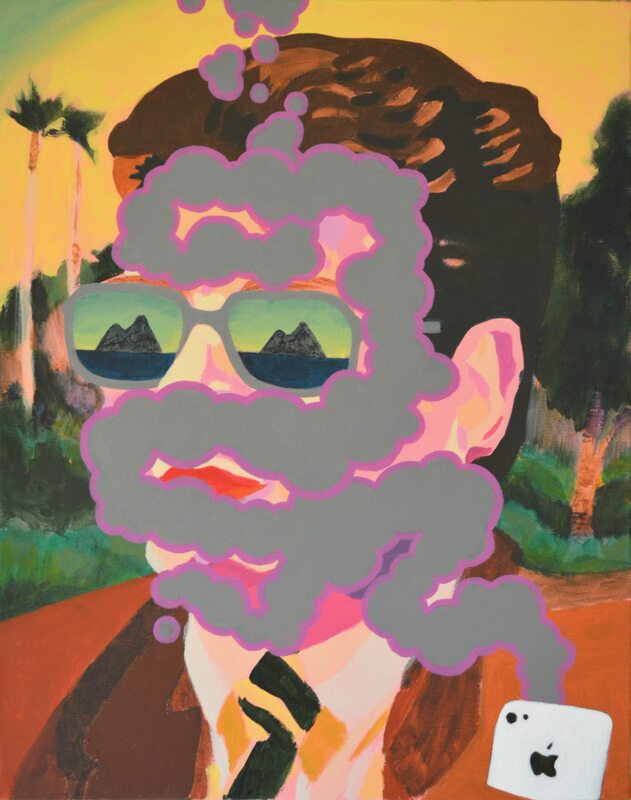 アーティスト, オランダ, スマホ世代, マタイン・クラウト, Martijn Kluit, solo exhibition, That’s… That’s…!